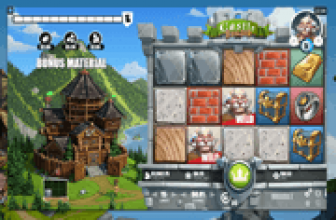 Shields of the Wild Online Slot: Free Games Feature Certain to Deliver Big Wins! Shields of the Wild is a unique NextGen Gaming 10-payline online slot, as its free-spin feature is certain to culminate with BIG WINS. Believe it or not, the free round ends only when all 5 reels display full-reel Stacked Symbols of a single type. Awesome even is that the winning Stacked Symbol is a product of one or more upgrades that transpire during the round. Carried out via the ”Marching Stacks Feature,” a randomly selected stack of symbols march on to cover every reel, starting from the 5th column. The next best thing that can happen is when another Upgrade Symbol appears, as the occurrence triggers another symbol transformation. If upgrades continue to transpire, the free round may culminate with a full-grid display of the highest paying symbol. To heighten chances of raking in sizable wins during paid sessions, a random event called “Shield Wall,” may take place. The latter is a base game Symbol Upgrade feature, which could transpire up to eight (8) times on a single occasion. An array of eight (8) Medieval Shields with different designs, in varying materials, sizes and shapes, land as icons to match in any payline. Purportedly, the shields were used by the army led by valiant knight, Sir Virilis Manblade. He is a sworn ally of King Trenin de Sax, the featured ruler of NextGen’s Kingdom’s Edge slot. Sir Virilis’ Shield of Gold therefore, is the highest paying shield image; awarding 25x, 50x or 100x the Line Bet on 3, 4 or 5 that land as winning payline arrangement. The Shields of the Wild Logo is a striking image that easily draws attention as Wild Symbol of the game. Capable of emerging in any reel, the Logo Wild can complete or extend organisations of alike icons occuring in the same payline. Wild-completed payline combos garner rewards based on the prescribed payout of the principal icon. 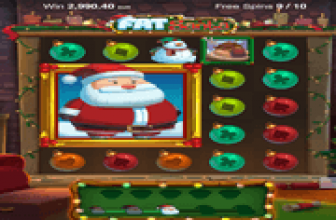 Should 3, 4 or 5 Logo Wilds fill up a payline diagram, the longest Logo Wild combo formed, earns a corresponding cash reward equal to 30x, 100x or 250x the payline bet. This is a random event that transpires only via paid spins, and without any precondition. The feature transpires when a cluster of icons comes into view, seemingly forming a protective wall. Once they spread out as outcomes of the related paid spin, all icons in view, except Wilds and Scatters, will upgrade to the next higher ranking symbol. Upgrading actions may carry on for as many as 8x. The Hilt of Sir Virilis’ Sword serves as triggering element of the “Marching Stacks Free Games.” Three, four or five Hilt icons scattered simultaneously across the grassy plains, determine the set of Shield Symbols that may upgrade and progress as matching Marching Stacks. Starting with Reel 5, a full-reel stack of a randomly chosen Shield appears. On the first bonus spin, it upgrades into the next higher-paying symbol included in the selection set. On the next spin, the upgraded Stack of Shields replicates in Reel 4. Generally, replication occurs one reel at a time on every bonus spin, until the entire grid is covered with 5 stacks of a single Shield image. As the upgraded stack of Shield Symbols march on, payline wins garnered on each bonus spin will be tabulated. The aggregate winnings will then be awarded as soon as the total payouts of the Shield-covered grid has been calculated. During the round, the Hilt may appear as a full Sword icon, serving as Upgrade Symbol. Now if a bonus spin produces a Sword Upgrade Symbol, the march is temporarily suspended for that particular turn. That is because the current icon featured as Marching Stacks will again upgrade into the next higher-paying icon. The march will then continue on the next bonus spin, displaying a new set of upgraded Stacked Shield Symbols. Actually, the Sword Upgrade Symbols may appear repeatedly during the round, and possibly in more than one reel. The Symbol Upgrade therefore will also transpire repeatedly based on the number of Sword Upgrade Symbols emerging on each bonus spin. Such attribute makes it possible for the bonus round to end with a grid filled with the highest paying Shield icon possible. Shields of the Wild Game Info states that a retriggering of the Marching Stacks Free Games is possible. After all, the bonus feature comes with a guarantee that the round will yield total bonus winnings of at least 20x the Total Bet. 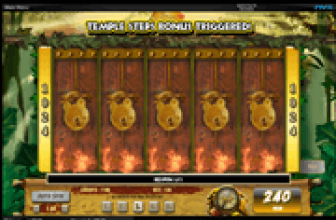 Shields of the Wild online slot honors a commitment to award free round bonus winnings of at least 20x the Total Bet. Free Rounds come with Stacked Symbols that Upgrade and replicate one reel at a time, until the entire grid fills with a single type of upgraded symbol. Even more amazing is the upgrades may occur repeatedly and frequently during a bonus round; making it possible for the grid to display 5 full reels of the highest paying symbol as final outcome.